See what other couples are saying. Hint- it makes us blush! Let us Create Something beautiful for you! Check out our reviews and schedule a consultation for your wedding or corporate event today! Check out the beautiful floral designs we've created for our awesome brides! 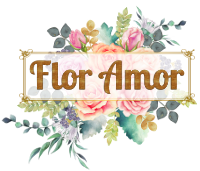 Flor Amor is an event and wedding florist in Austin, TX. Designer and owner Sharon Yancey began working with flowers professionally in 1987 while in college, then opened her first flower shop in 1993. Blending her artistic background with her love of flowers and nature she became a Texas Master Florist in 1996. Sharon served on the Central Texas board of Teleflora for four years. There she produced educational design seminars with nationally recognized floral designers. She gained unparalleled experience introducing florists to the latest floral trends and teaching advanced design techniques. Now specializing in weddings, events, and corporate ambiance, Sharon brings years of experience and a broad base of knowledge to help you create the wedding of your dreams. Flor Amor offers local weekly delivery to businesses in the Austin, Round Rock, Bee Cave and Lakeway areas, with discounts available for recurring standing orders.